Did you know pears are a big deal this time of year? I’m not quite sure why this slipped my mind. …or perhaps I have been consumed by fall’s superstar — The Apple. My suspicion is that I have simply ignored this little gem. Granny Smith has always been the apple of my eye for autumn. When meandering through a glossy magazine this show stopper came on the scene. I pored over page after page. Pears were baked, fried, grilled, sauted, pureed and seared. Now, when a good idea comes to mind I tend to act on it. And so that’s how these delightful pears came to be. Pour chopped peanuts on a plate and line a baking sheet with parchment paper. In saucepan on medium-high heat melt butter then add sugar and condensed milk. Bring to a boil, stirring continuously with a wooden spoon until sugar has dissolved. Cook 10 minutes on a rolling simmer. Stir in vanilla and salt. Turn heat down slightly and simmer 5 more minutes. Do not overcook. To test for doneness, drip small amount in cold water and squeeze droplet for firmness. When ready, remove from heat and cool 3 minutes. 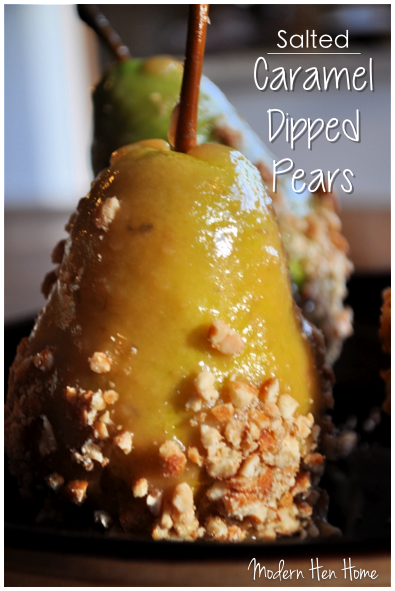 Hold stem of pear and dip in caramel, slightly tilting pan to accommodate all sides. Hold above pan and allow caramel to drip off. Roll in crushed peanuts and place on lined baking sheet. 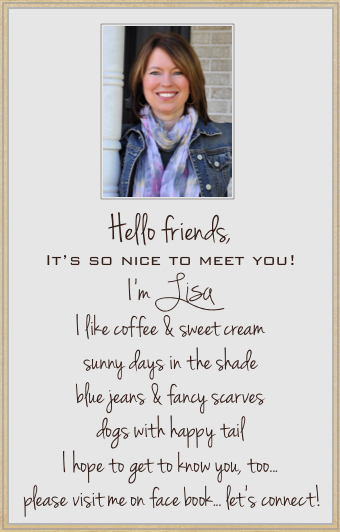 Hi Lisa, Stopping by your site for the first time from the Unfolded Link Party. I love this unique recipe idea. The pears look fantastic. I see that you like coffee with sweet cream (me too), pinned your recipe because it looks so delicious! Thank you so much! How kind of you. Yes, they truly are delicious. Thank you for pinning also. I will be sure to check out your blog next. Many blessings!